Media contact information for David Callahan for producers and reporters. DAVID CALLAHAN has appeared on hundreds of television and radio programs, and also frequently served as an expert source for journalists. As the founder of Inside Philanthropy and author of The Givers, David's areas of expertise include philanthropy and trends in charitable giving, the wealthy and class politics, and the intersection of philanthropy and public policy. David has a detailed knowledge of many of the top business leaders who are engaged in large-scale giving, as well as the operations of leading private and corporate foundations. David is also knowledgeable about corporate social responsibility, activism and social movements, and a range of economic and social policy issues. In addition, as the author of The Cheating Culture, David often comments on issues of ethics and moral values. He can be reached at davidc@insidephilanthropy.com. David has appeared on such shows as The O'Reilly Factor on Fox News, where he was a regular commentator; CBS This Morning; The Kudlow Report on CNBC; and various CNN shows. David is based in Los Angeles. David has been a frequent guest on long-format public radio shows, and also offered expert commentary on radio news shows like NPR's Morning Edition. David can appear in studio remote via KCRW. 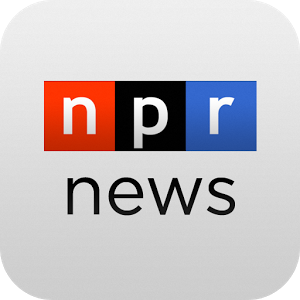 Listen: David on NPR's Weekend Edition. David has often been quoted in print stories and has published numerous op-eds, including in the New York Times and the Washington Post. Journalists on deadline should email David directly. Read: Coverage of David in the New York Times.